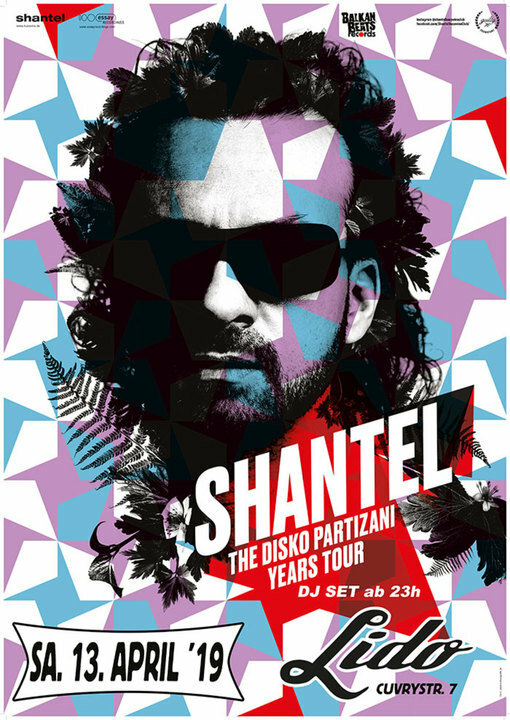 SHANTEL „The Disko Partizani Years (DJ Set)"
GRATIS “ŠLJIVO - SHOTS” für die ersten 111 Gäste ! SHANTEL meets ROBERT SOKO for another epic DJ SET - be there! Zusammen mit seinem Gastgeber Robert Soko wird er im Berliner Lido wie gewohnt für einen regelrechten Ausnahmezustand sorgen! With this open-minded approach, Shantel is the audible side of a different Germany. He is the first to have injected a cosmopolitan sound into the local pop culture. In his case, migration can be heard and danced to. He plays musical treasures from south-eastern Europe, the Mittle East or the Mediterranean in a new context, making it possible to experience intuitively the cultural it originated in. Hand in hand with his host, Robert Soko, he will with no doubt instigate a state of emergency within the Berlin Lido.